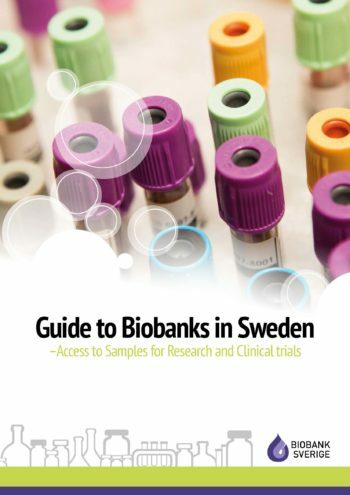 This guide describes biobanks in Sweden and how samples can be used in research and clinical trials. The document provides guidance on what researchers and companies should do to get access to existing samples in Swedish biobanks, as well as requirements for collecting new samples from persons in Sweden. It also provides guidelines for researchers and companies regarding biobank services available for the collection of new samples and the release of samples.